Ruby – Software is too expensive to build cheaply…. 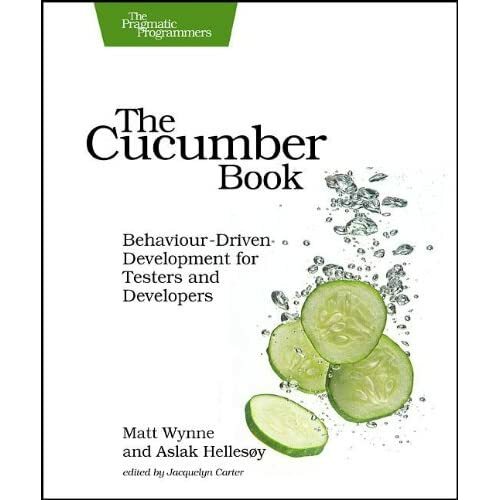 Overall, a solid introduction to the Cucumber testing tool, and BDD in general. About the only criticism I have of it is that it’s perhaps a little bit too Ruby focused – an example of working with an application or a database without leveraging Rails would have been nice. I’ve long been interested in decent ways of expressing tests in a human-readable format. Not just any humans, but BAs and business reps in particular – the kind of people who will not be interested in slugging through piles of language syntax. I tried Fit sometime ago, and was impressed, but when I came back and revisited it recently, it looked a lot like the community had kind of faded away. Accordingly, I looked around at what else was available, and stumbled across RSpec Now, I want to test Java code, and RSpec is for Ruby (as the R kind of hints), but I was able to get this going under JRuby fairly easily. I couldn’t find any examples of other people doing that, so I thought I’d write it up. There’s a couple of posts going around about another post comparing Ta-Da with Bla-Bla Look, folks, this isn’t comparing the two languages: this is comparing different coding styles, that strangely enough value different things!